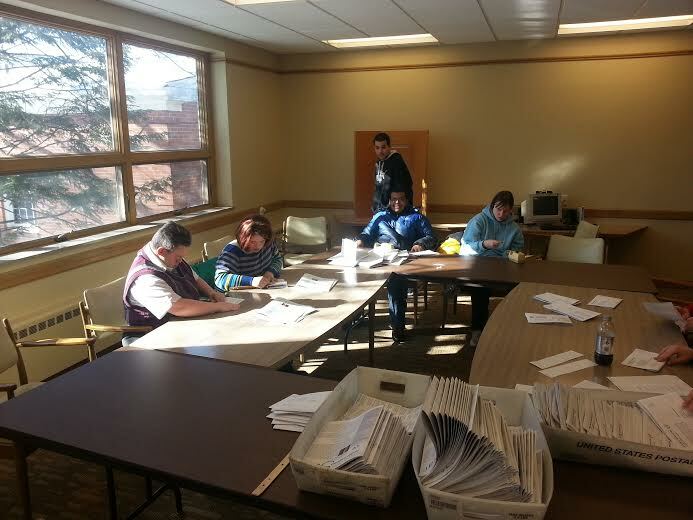 Over the last year the Champion Street Purple Catters have had the opportunity to assist the Rodef Sholom Center located on Elm St in Youngstown with the distribution of their monthly newsletters. A group of eight clients travel to the site where they then fold, seal, label, separate and stack over 400 newsletters. 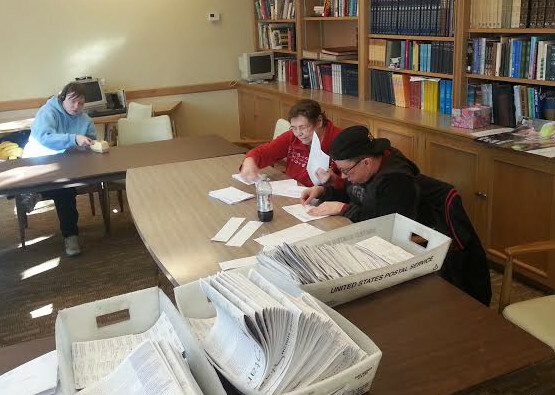 The newsletters are sent to the Rodef Sholom Congregation all over the country. The jobs are split into two groups of four with one client focusing on each separate job. The Center’s congregation and staff then provide a pizza party for all of our hard work. When Lauren W. was asked about her experience she said “it’s really fun but really hard work.” “We like that they pay us by having a pizza party for us,” adds Deanna L.
We would like to thank the Sholom Center for asking us to come and work with them.